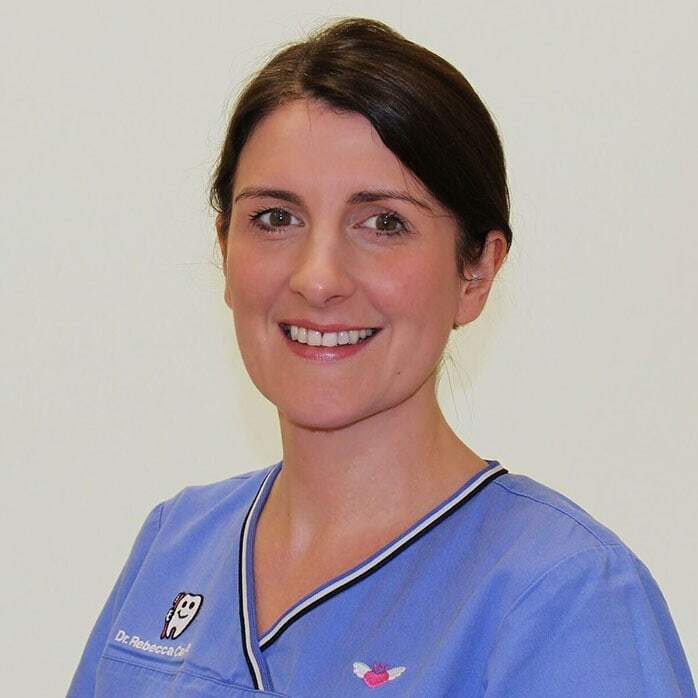 Dr. Rebecca Carville completed her undergraduate dental training at Trinity College Dublin where she was awarded a Foundation Scholarship to the College in 2000. She graduated with a First Class Honours degree in 2004, and as top of her class she was awarded the Gold Medal Sheldon Friel Prize and a Dental Council Award for outstanding results in restorative dentistry, prosthodontics and periodontology. She then worked as a House Officer in the Dublin Dental Hospital, followed by three years in private practice as a general dentist. Dr Carville decided to advance her training and went on to complete an additional three years of full time specialist training to achieve a doctorate in Prosthodontics in which she was awarded First Class Honours, and the Dean’s Prize for Outstanding Postgraduate Performance. She obtained her fellowship from the Royal College of Surgeons, Ireland, Faculty of Dentistry in 2010. Rebecca is devoted to her profession and never stops learning the most innovative techniques available in today’s dentistry. She is skilled and experienced in the provision of high quality solutions to patients’ most difficult dental problems. Rebecca is sensitively attuned to the concerns of her patients. She combines her scientific background with an artistic eye to bring the highest quality of personalised care to each of her patients. Rebecca is a gentle and caring professional. She takes time to listen to your concerns and will address each one in your treatment!